World Sepsis Day is an international day of action and awareness-raising, supported by organisations around the world. It is coordinated internationally by the Global Sepsis Alliance, a collaborative group of non-profit organisations. Sepsis is a life threatening condition that arises when the body’s response to an infection injures its own tissues and organs. It can be caused by something as simple as a cut or insect bite, or an infection like pneumonia. It is also a risk following surgery, or for women who have just given birth. It causes a range of diseases and deaths worldwide. For this reason, World Sepsis Day is promoted on September 13 each year in order to raise awareness. It is is an initiative of the Global Sepsis Alliance and its founding members, all of whom are non-profit organizations. According to the campaign organization: "Every few seconds someone dies of sepsis. Prevent it. Spot it. Treat it – beat it. For that we campaign to reduce sepsis cases by 20% by 2020". a) Sepsis contributed to 1 in every 2 to 3 deaths, and most of these patients had sepsis at admission. b) Patients with sepsis, normal blood pressure, and measured lactate levels of less than 4 mmol/L (n = 15 095) comprised 55.9% (95%CI, 53.6%-58.1%) of sepsis deaths. Surprisingly, patients with initially less severe sepsis made up the majority of sepsis deaths. The majority of individuals who died with sepsis presented to the hospital with the illness. This contradicts the belief of policymakers and some healthcare authorities that sepsis results primarily from hospital-acquired infections. One way of dealing with problems of sepsis is in developing appropriate diagnostic tools. 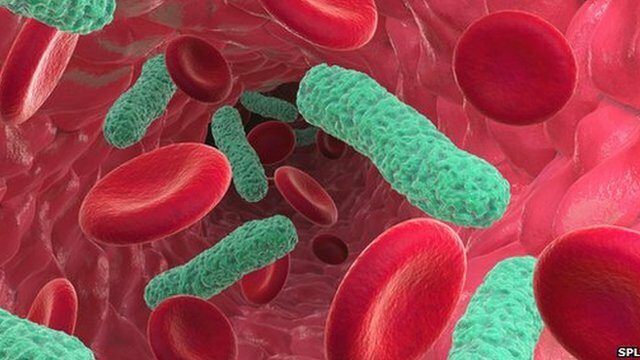 According to Pharmaceutical Microbiology: "Diagnostics play a significant role in identifying sepsis in a patient. Surviving Sepsis Campaign guidelines recommend obtaining blood cultures - the gold standard - for recovering the pathogen causing infection before antimicrobial therapy is initiated. Accurate and fast results help physicians to determine the appropriate antimicrobial therapy to cure the patient." Whilst diagnosis is important, a lack of international agreement on appropriate guidelines is arguably hampering efforts to address sepsis on a global scale. Professor Sandra Peake, of The Queen Elizabeth Hospital in England, says that guidelines continue to be debated among clinicians and researchers: "In 2004, international guidelines were introduced for the resuscitation of patients with sepsis, but even now we see variation in practices within and between countries on treatment approaches. "The debate will continue internationally for some time yet, but in reality the mainstay of treatment for patients with sepsis is antibiotics, intravenous fluids, drugs to support the heart and maintain the blood pressure, and surgery, if needed, on an affected area. Whether or not there is one specific or uniform resuscitation approach remains to be seen." Therefore, it remains an issue that treatment practices for patients hospitalized with sepsis will continue to vary because of individual differences between hospitals and countries. You can sign up to support World Sepsis Day here.